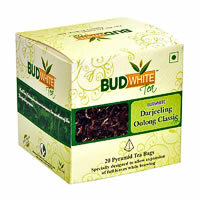 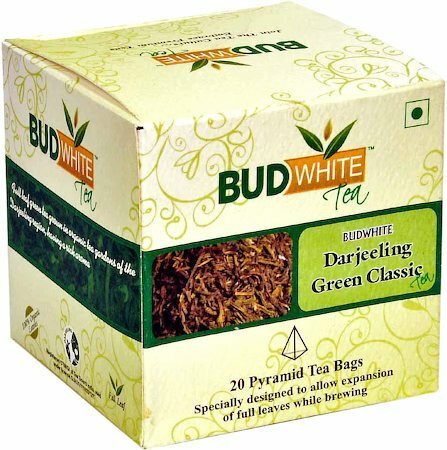 Budwhite Green Classic Tea pyramids have full leaf green tea grown in the organic tea garden of Darjeeling, having a rich aroma. 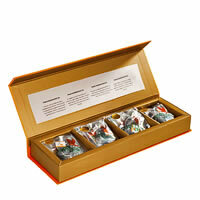 The green tea prevents tooth cavities and bad breath. 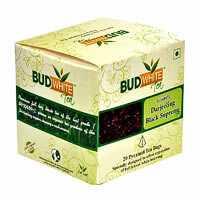 Stress relieving, anti-bacterial, immunity booster against cancer and other diseases. 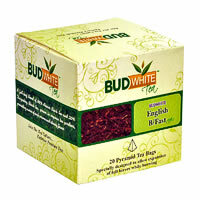 Controls bad cholesterol and artery clogging.